The system of packaging recovery notes (PRNs) rewards export over indigenous reprocessing, and now we see the Emperor had no clothes. Elements of the plastics industry are working hard to develop sustainable solutions and a circular economy for plastics. Bans on plastic packaging are trying to crack a nut with a hammer: the problem is not plastic itself, but how we produce, use and dispose of it. The Chancellor’s recent Spring Statement announced a call for evidence on the supply chain for single-use plastics, alternative materials and recycling opportunities. In the same week, researchers at the University of Manchester published a study revealing the highest microplastic pollution levels ever, recorded in a river in Manchester. The research showed that billions of particles flooded into the sea from rivers in the area in just one year. While the waste management sector has been doing a reasonable job (in admittedly unfavourable conditions) to recover recyclable plastic from solid waste, vast amounts of plastic have still reached our environment through the use of synthetic clothing, hygiene and cosmetic products, glitter and litter. The problem lies in the fact that these plastics are not biodegradable, and persist in the natural environment, affecting biodiversity, resilience and ultimately the human food chain. Society has developed in such a way that we now rely on plastics for a myriad of important tasks – not least protecting food, water and medicines. While we need to address the problem of plastic pollution with urgency, we must do so in a calm and rational manner to make sure the poorest in society do not suffer from misguided or knee-jerk reactions. A battle cry has emerged to Ban Plastic! But what are we realistically going to replace it with? The reason plastic is ubiquitous is because it is so good at its job. So far, no non-plastic packaging material has come close in terms of functionality, ability to serve in a range of applications with different requirements (breathability, thickness), low-cost transport benefits (lightweight) and point-of-sale features (looking attractive). This isn’t to knock the alternatives – they are vitally important both to the discussion and to a shared sustainable future – but most are simply not ready for market and we need change now. I argue that we need to move rapidly to a new generation of transitional materials that have been designed for a circular economy. The characteristics we ought to be looking for in smart materials span how we can produce, use and dispose of them. Production needs to be scalable. For any new material to have a chance at market dominance it needs to be able to be produced all over the world, preferably in existing factories, and at a similar price point to LDPE, PP, etc. This means that the raw material will also need to be available globally: global supply chains will demand it. Use of plastic needs to be rational. There are still far too many examples of unnecessary packaging, such as shrink-wrapped coconuts and bags of apple slices. This is a psychological challenge as much as a technical one. There is a social uprising against the folly of over-packaging, and of that we should be pleased. But in order to avoid unintended negative consequences, we must take care not to let those who shout loudest make the rules. Finally, we need to take a long, hard look at how we dispose of plastic. The Manchester study has shown how much non-biodegradable plastic is leaking into the environment from our washing machines and bathroom sinks. The Chinese ban has shown how much of our plastic waste was leaking into the environment from our national waste management systems. Where there is no recoverable value at end of life, perhaps we need to think again. To close the loop might mean to go back to the drawing board, ditch those plastics that cannot be managed in a circular system, and turn to alternatives. This is where Hydropol, the new sustainable plastic from Aquapak Polymers, can really make a difference. Made from polyvinyl alcohol, the biodegradable polymer used in surgical stitches and laundry liquid pods, Hydropol dissolves in water. It is non-toxic and can be eaten by algae, plankton and fish without causing harm as it turns into a benign digestible biomass, carbon dioxide and water. Further, Hydropol can be recovered from wastewater (for example, in a plastics sorting facility) and repelletised in situ to supply an uncontaminated 100% recycled polymer feedstock. As a waste material it can also be sorted by common NIR processes, or processed in anaerobic digestion or industrial composting facilities. The benefits for AD are profound, with no entanglement in depackaging equipment and no flake in the final digestate product. Finally, its pellets can be used in existing plastic manufacturing facilities: a vital step in the global supply chain. Aquapak’s 52,000 sq ft plant opened in Birmingham last year with the capacity to produce 30,000 tonnes per annum, and HydropolTM is being trialled by major UK brands. If a material such as Hydropol could be used to replace the flexible plastic lids on ready-meal trays, salad bags and flavouring sachets, and many more applications, we would potentially be avoiding the same tonnage of leakage of non-biodegradable plastics into the environment. Particularly for parts of the world with inadequate waste management systems, the impact could be vast. Aquapak won the Rushlight Award for Clean Tech last year and is one of a group of innovators set to disrupt the plastic packaging sector. 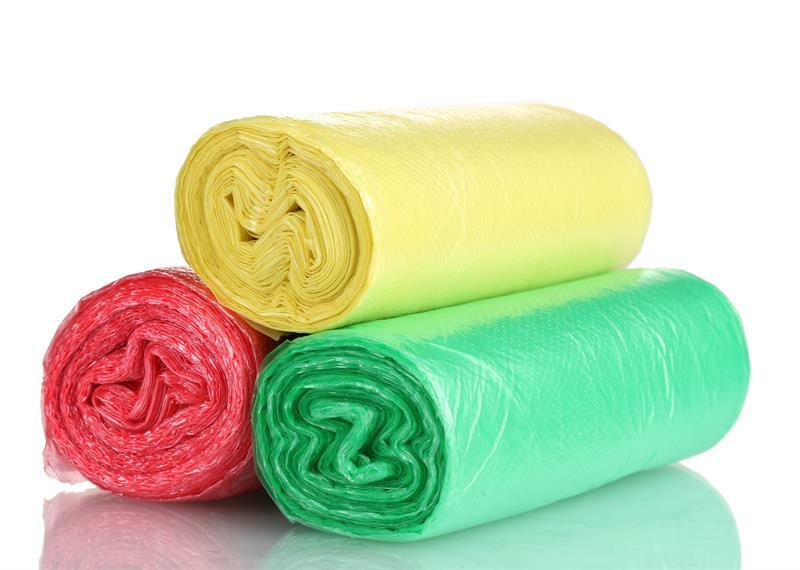 While Hydropol is currently made from petroleum, it can also be made from bio-based polymers (but not yet at a price competitive with standard plastics). Some bioplastics innovators have also made exciting advancements – watch out for Futamura’s Natureflex and Novamont’s Mater-Bi, which are both functional and sustainable, making them suitable leaders for a new plastics economy. In recognition that our use of materials has some big changes ahead, so too will our waste management systems. Painful as the current climate is, I see this as an important phase in our transition to a more sustainable relationship with our resources. It’s a challenge we cannot avoid and we must work together, with urgency and rationality, towards a circular economy. Dr John Williams is director of Aquapak Polymers.